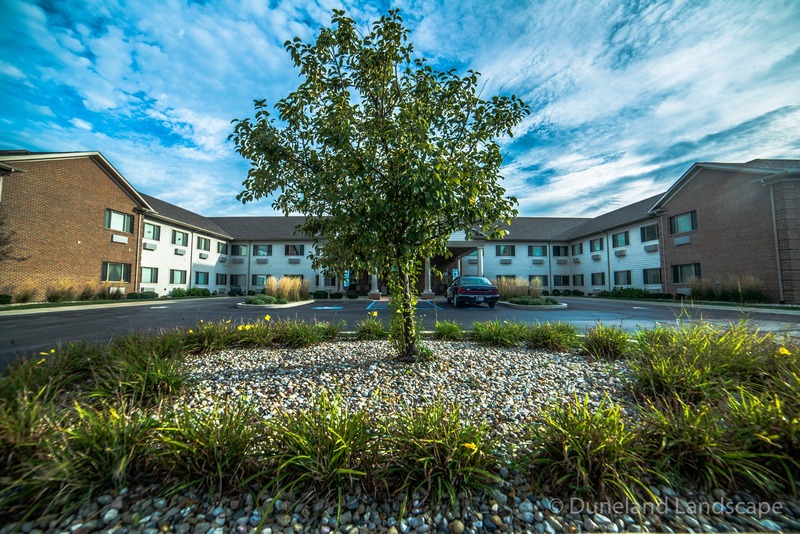 Rittenhouse is a senior living community in Valparaiso, Indiana. 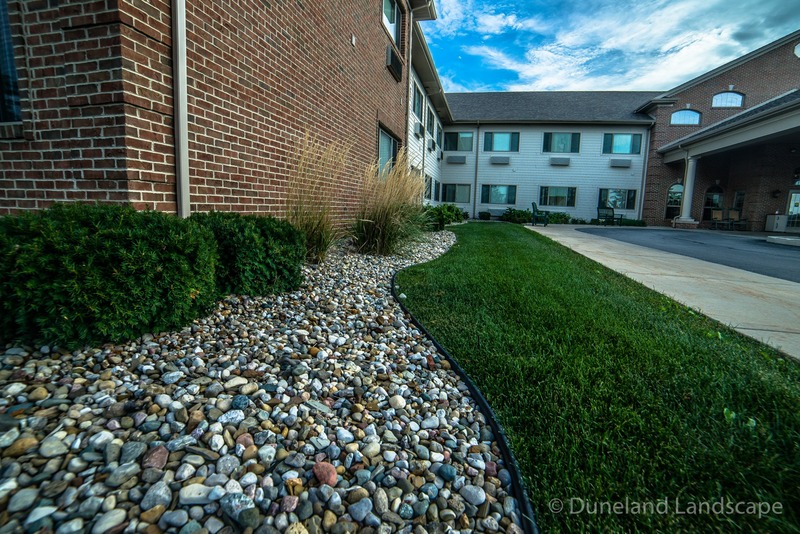 For this residential complex, Duneland Landscape was the number one choice for grounds maintenance. 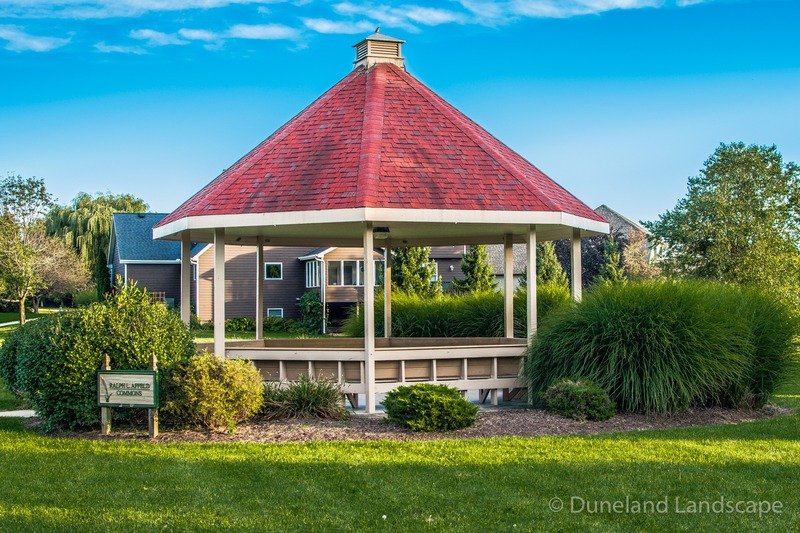 We are Northwest Indiana’s trusted landscape and maintenance company because of the credible work we provide and expertise we bring to each project. 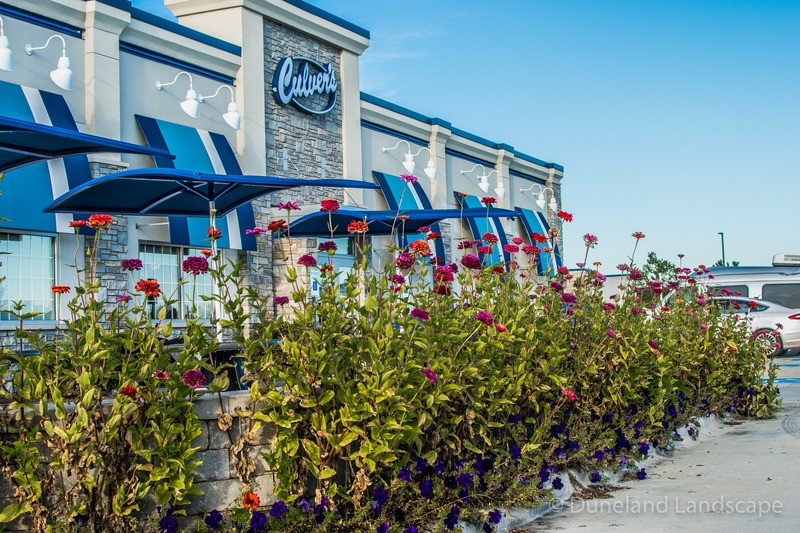 For grounds maintenance of this commercial property, Duneland Landscape provided frequent grass cutting and weed control services. 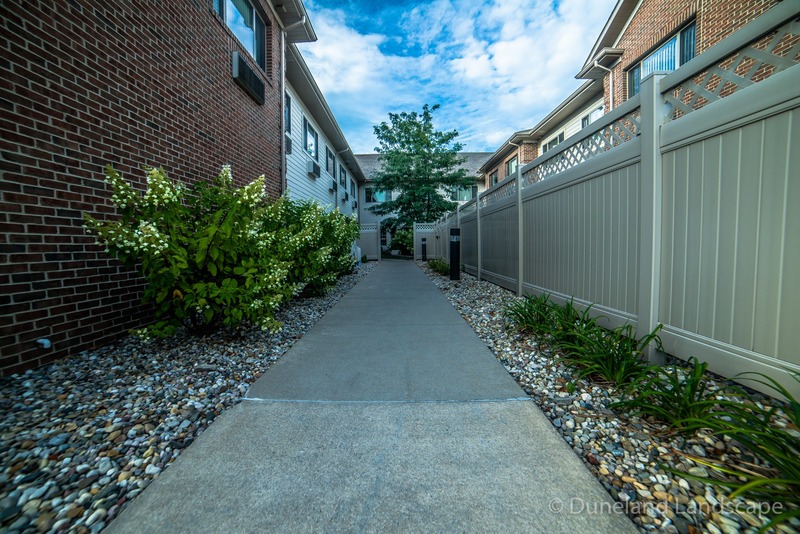 With our routine efforts, the lawn and garden of this landscape maintained a healthy green dynamic and created an inviting appeal for residents. Also, the incorporation of rock bends into the landscape created a unique textural feature for the property that improved the aesthetic of the building, while also being low maintenance for the property owners. 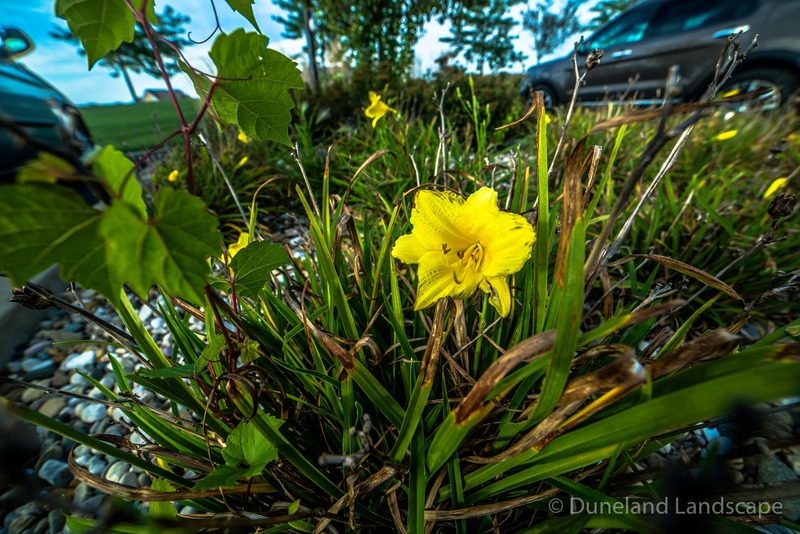 In addition to regular lawn maintenance, Duneland Landscape also provided mass planting services to this community. 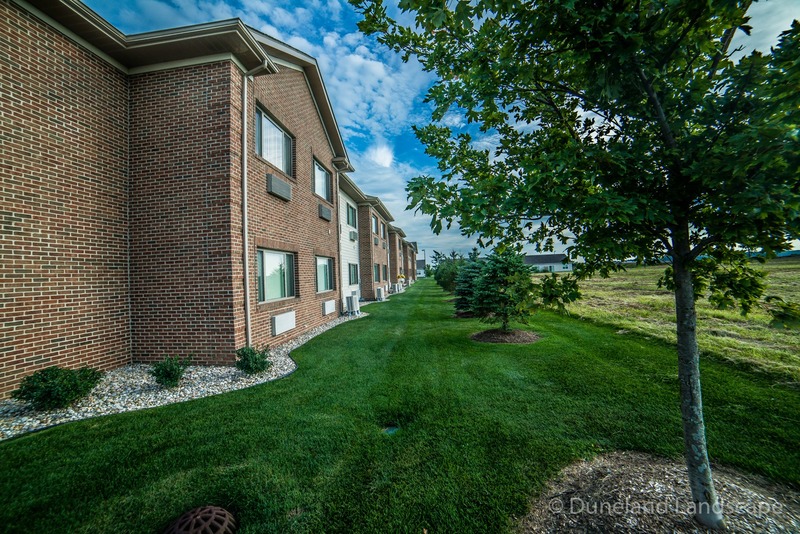 We provided tree installation and planting services for this property along with several shrubs and flower beds. We worked to install trees within the landscape that highlighted the extent of the property. Each tree was artfully chosen to provide the landscape with an abundance of greenery and height. 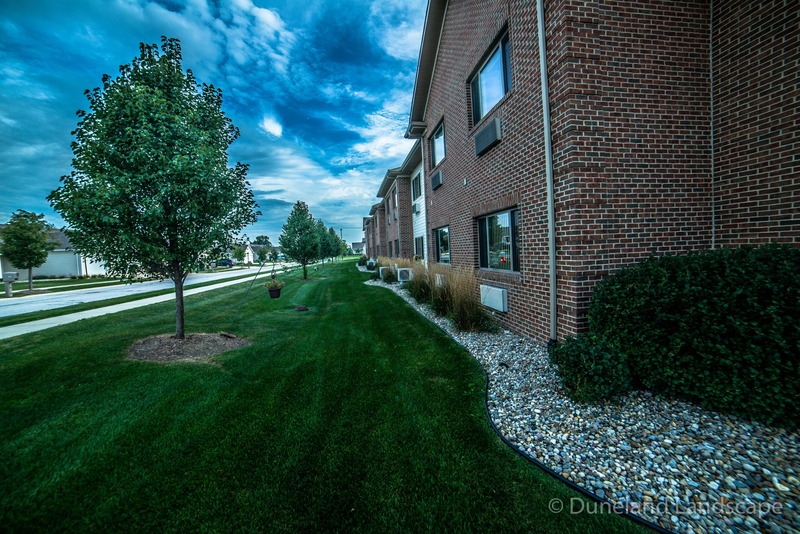 Additionally, the shrubbery included in this commercial landscape was implemented to highlight the walkways and outskirts of the building. We chose sophisticated flowers that invited guests in as they walked up the cement sidewalks. 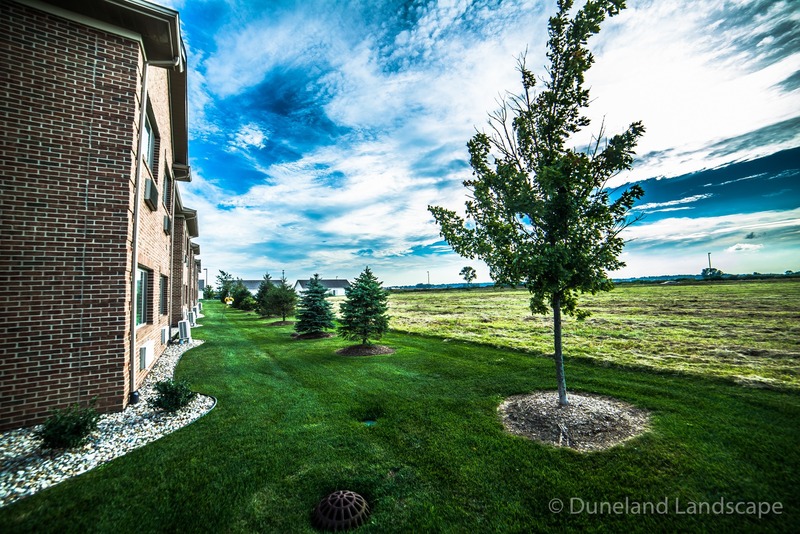 Residential and commercial property owners throughout Northwest Indiana trust Duneland Landscape for regular grounds maintenance and tree installation. To find out more about our lawn maintenance program or how we can install beautiful trees into your landscape, contact us today! 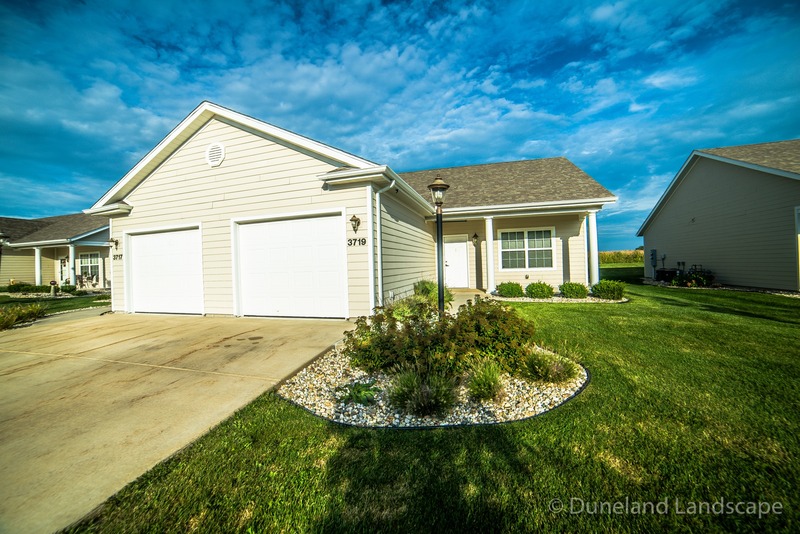 Duneland Landscape LLC is a full service landscape and lawn care company serving both residential and commercial customers. We take great pride in the design, installation and maintenance of our distinctive and impressive landscape ideas. 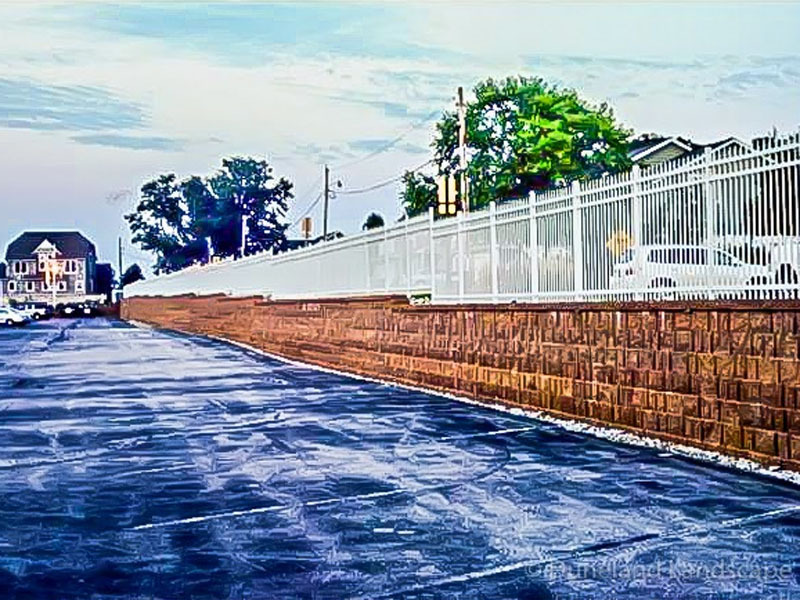 Our highly trained staff has years of experience with installing trees and shrubs, segmental retaining walls, brick paver and natural stone patios, walks and driveways. Yes, we are an award winning landscaping company.